A volunteer places three small plastic cups in front of each audience member. The vessels are filled halfway, each with a different type and quality of extra-virgin olive oil. Two of the oils are produced by the University of California (UC) Davis Olive Center; the other is an inexpensive grocery-store find. Most of the attendees are master gardeners for Sacramento County, part of the UC Cooperative Extension program, and eager to learn more about the burgeoning olive oil industry in California. Selina Wang, Ph.D., the center’s research director, instructs the participants to cover the first cup with their hands for 30 seconds—to warm the contents—and then to softly inhale the golden liquid, similar to how one would sniff a robust cabernet. Selina Wang. Photo by Alana Joldersma. Next comes the sip. Heady and herbaceous, earthy and grass-like, almost spicy, are just a few of the descriptors. The testers follow the same ritual with each of the other two oils. The last, the grocery-shelf buy, is weak and submissive in comparison to the olive center creations. 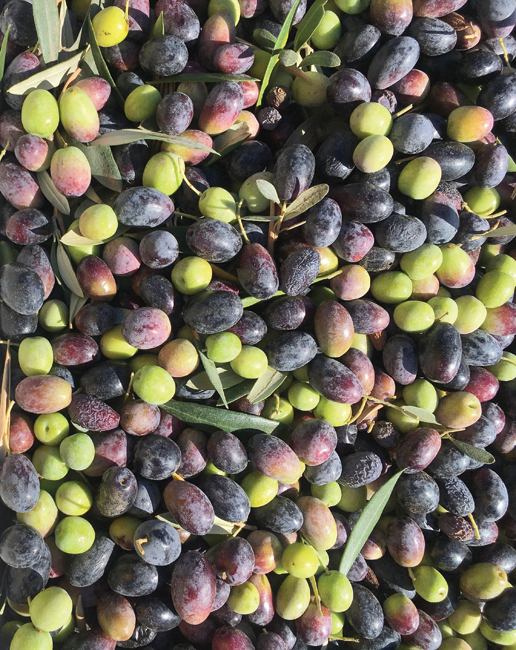 The favorite among the testers is the Wolfskill Reserve, a blend of four varieties of olives harvested at UC Davis’ Wolfskill Ranch in Winters. In addition to Wolfskill, the center has a second orchard on campus. Both groves provide the UC students, faculty, researchers and farm advisers with approximately 1,000 trees from which to reap the treasured fruit. And plans are in the works to plant a lot more. One of the goals of adding more trees is to identify varieties that are suitable for climate change, explains Wang. “This will include varieties that are more resistant to hot days and cold winters. If there is a freeze in winter, that’s devastating for the trees. 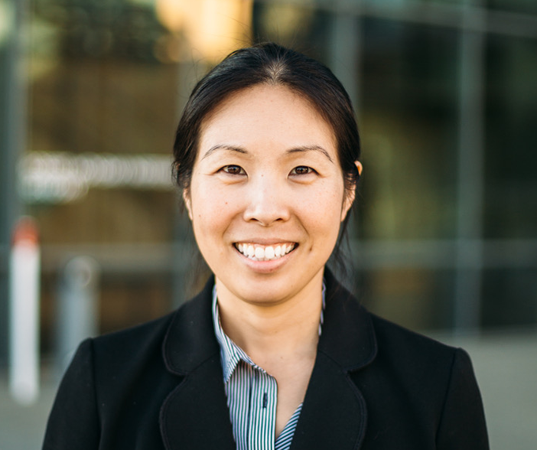 “We can’t stop climate change, but we can identify a variety of options and make recommendations,” adds Wang, who expects the new trees to be planted at the beginning of 2019 and harvested in about three years. UC Davis went into the olive oil business in 2005 when on-campus heritage trees became a nuisance. The oily fruit, hanging over a bike path, would fall and create a slippery mess. The university spent $60,000 a year on cleanup and mitigation. Creative thinking led to creative doing: Harvest the olives, press them into oil and sell the celebrated end product. 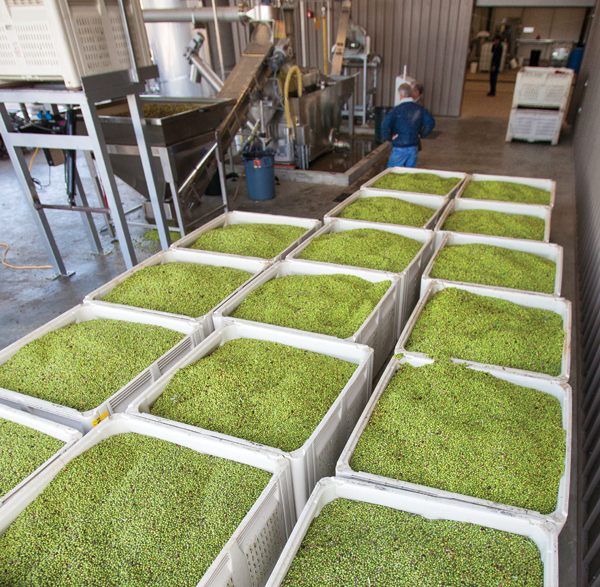 As a result, the UC Davis Olive Center at the Robert Mondavi Institute was established in 2008 and now has global prominence in olive production, olive oil research and education. 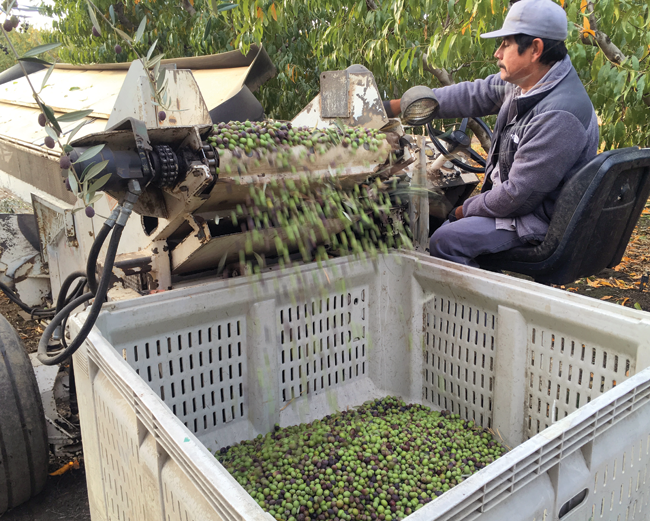 Its motto: The center seeks to do for olives what UC Davis did for wine. Photo courtesy of Seka Hills. In addition to research grants, educational events and donations, the self-funded center is supported by proceeds from the sale of its culinary oil and barrel-aged vinegars (think pear and mission fig), as well as a line of skin-care products. The body lotion, explains Wang, was the brainchild of a UC Davis alumni who took some leftover olive oil home and turned it into a creamy lotion with a sweet orange aroma. “People loved it,” adds Wang. Of course, all of the center’s oils are extra virgin. For an oil to qualified as extra virgin, it must meet certain criteria, explains Wang. “You cannot add anything during processing—it has to be pure olives. From a chemical means, you cannot add any solvent or heat to extract the oil.” There is also a sensory standard, “meaning the oil cannot have any sensory defects,” such as rancidity. “What people don’t understand is that every extra virgin will become non-extra virgin at some point,” she says. “That is the key thing that people are missing. The oil is eventually going to oxidize. And the oil is going to develop rancidity. Once the rancidity has developed, this oil is no longer extra virgin because it has sensory defect. Once the bottle is opened, explains Wang, “it really needs to be consumed in about three months.” Exposure to light and heat will diminish freshness and shorten shelf life. 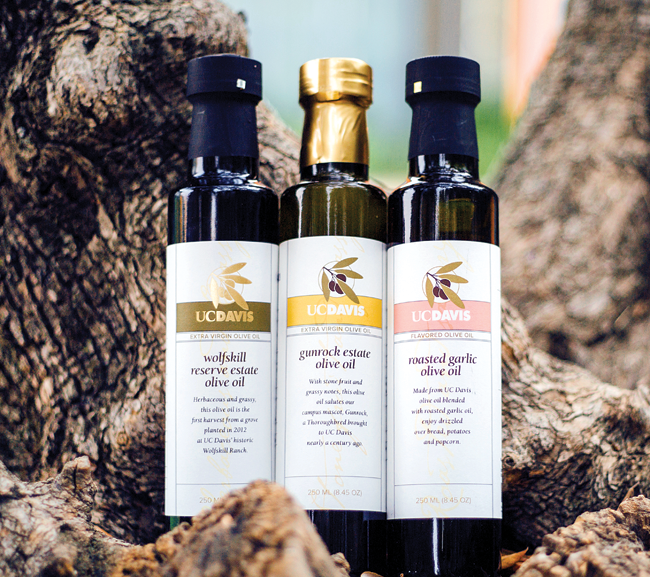 UC Davis olive oil is processed at Bondolio in Winters and Seka Hills in Capay Valley, and bottled at the Olive Oil Factory in Fairfield. All UC Davis Olive Center products are available at UC bookstores on campus and in downtown Davis, and online at ucdavisstores.com. For more information, including olive oil tips for consumers, visit olivecenter.ucdavis.edu.